NBFCs as financial institutions refer to a set of rules and regulations which keep on changing on the basis of changing needs and situations. It is important for the NBFC management to know about what to do and how to do, and there is a strong need to keep abreast with the times. The managers who follow the rule book or the manual of NBFCs have a strong chance of compliance and successful competition in the industry. In September 2016, RBI issued Master Direction – NBFC–Non-Systemically Important Non-Deposit taking Company (Reserve Bank) Directions, 2016, to be followed by NBFCs. There is a separate Master Direction for NBFCs which accepts public deposit or NBFCs with an asset size above Rs 500 crore. Therefore, this direction is not applicable to such NBFCs. The following are a list of the most important directions, contained in the said master directions. However, the readers are advised to read entire master direction. NBFC which do not accepts public deposit and having an assets size below Rs 500 crore. The Directions under Chapter IV (Prudential Regulations) shall not apply to those applicable NBFCs who have not accessed any public funds and do not have any customer interface. Leverage Ratio: The leverage ratio of an applicable NBFC (except NBFC-MFIs and NBFC-IFCs) shall not be more than 7 at any point of time. Accounting standards: Accounting Standards and Guidance Notes issued by ICAI shall be followed insofar as they are not inconsistent with any of these Directions. Accounting of investments: The Board of Directors of every applicable NBFC shall frame investment policy for the company and shall implement the same, including criteria to classify the investments into current and long term investments. Need for policy on demand/call loans: The Board of Directors of every applicable NBFC granting/intending to grant demand/call loans shall frame a policy for the company and implement the same. Standard asset provisioning: Every applicable NBFC shall make provision for standard assets at 0.25 percent of the outstanding. 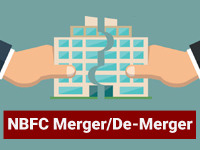 Multiple NBFCs: All NBFC in a group shall be aggregated for the purpose of checking the limit of Rs 500 crore assets size. Schedule to the balance sheet: Every applicable NBFC shall append to its balance sheet particulars in the schedule as set out in this Directions. Loans against NBFCs own shares prohibited: No applicable NBFC shall lend against its own shares. 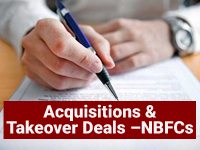 Applicable NBFCs having customer interface shall adopt the Fair Practices Code which interalia shall include Loan appraisal and terms/conditions, Disbursement of loans, and General, Responsibility of Board of Directors. .
Acquisition / Transfer of Control of Applicable NBFCs: Take prior written permission of the Bank. Opening of Branch/Subsidiary/Joint Venture/ Representative Office or Undertaking Investment Abroad by NBFCs: Prior permission is required. Ratings of applicable NBFCs: Information about downgrading / upgrading must be furnished, within fifteen days of such a change in rating. 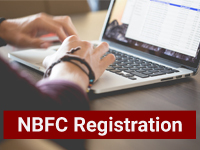 Return to be file by NBFCs before its due date that is within 60 days from the end of the financial year. Financial Assets and income from financial assets should be more than 50%.